Directions: Go to website www.discoverdavinci.com and click on The Performance. Select May 2nd for Mayan Theatre and enter code: visitdenver to receive 2 for one or call (720) 504-9408 for further information. 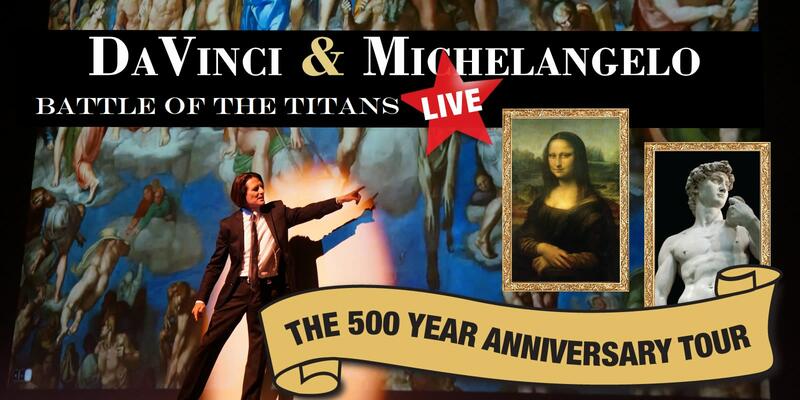 Join us the exact night of the celebration of the life of Leonardo DaVinci! Mark Rodgers is the creator and mastermind of the DaVinci Machines and Michelangelo Exhibitions for North America and the DaVinci & Michelangelo: The Titans Experience original theatrical production.